Traci Aylmer of Earth Organic Hairdressing wants us to love our hair better by treating it better and the best way we can do that is by not using harsh petrochemicals on our crowning glory. Formerly from Brighton, England, Traci has worked in the hair and beauty scene for more than 30 years and, although passionate about her work, has long had concerns about the chemical content and animal testing of many salon products. “Some of the laboratory animal testing was, and still is, little short of torture,” says Traci, “I thought there had to be another way.” When Earth Organics Hairdressing opened in November 2017, Traci’s dream was finally realised. 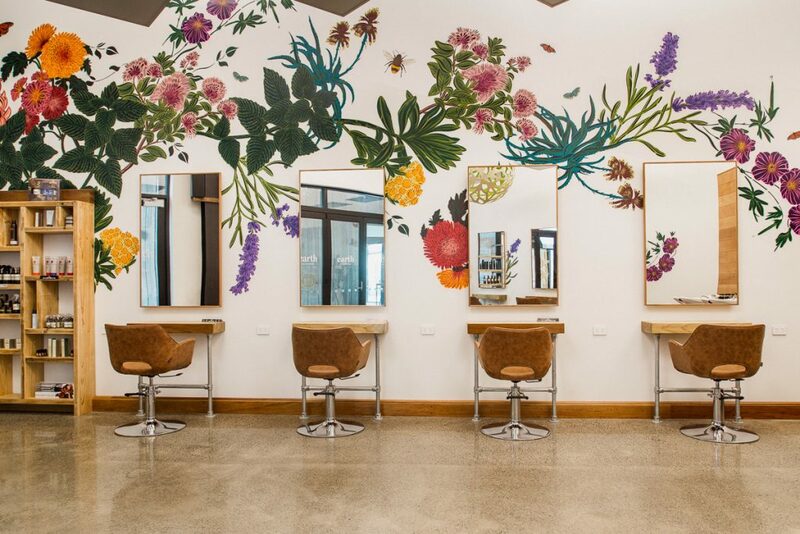 The exquisite floral murals adorning her salon walls reflects Traci’s core philosophy that using natural, organic products are not only kinder to our hair, but also safeguard and benefit our overall health. “People with skin problems, cancer worries, or people who just want to look beautiful without resorting to toxic products of questionable origin, this is the salon for them. Open Tuesday to Saturday in the hip new hub of High Street, isn’t it time you treated your hair to a whole lotta love? Phone 03-365 7393 or visit earthorganichairdressing.co.nz.